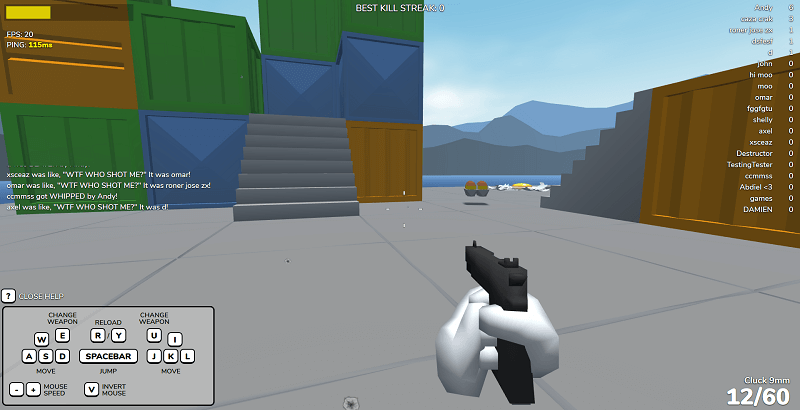 A BabylonJS project, this is a wacky multiplayer first person shooter featuring, well, eggs, of course! Even though it’s early in development and not polished enough, everyone is free to hop in and have some fun. It features 2 servers, USA and Germany (Europe). The game lets you pick your name and “egg class”. They differ in the main weapon you get and the stats of those weapons, every class has the pistol available. Ammo is dropped on the ground and you have to pick it up if you don’t want to run out. The controls are usual for a first person shooter. Click here to scramble some eggs!